After a lot of searching around I found some reference to changing URL names. 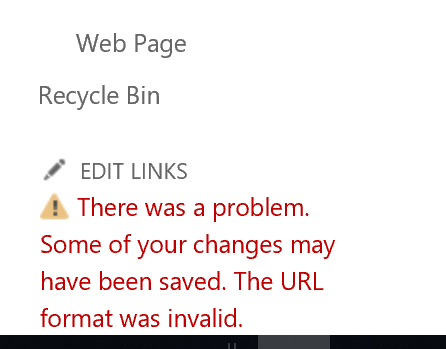 We did change our tenant's primary domain following a company name change, but the URL for SharePoint was not changed and has continued to work, it just won't let us edit the menu. Browse other questions tagged permissions error url menu or ask your own question.